Law School Scholarships | DeLoach, Hofstra & Cavonis, P.A. 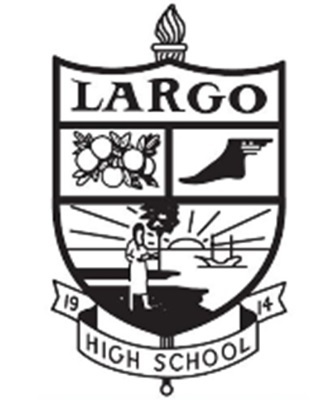 Attorney Joe Murphy at Largo High School with Kristine Slayton, a Largo High School teacher and National Honors Society Co-Sponsor. Do you know a high school senior at either Seminole or Largo High School with a career goal of becoming an attorney? If so, please encourage them to apply for the newly created “DeLoach, Hofstra & Cavonis, P.A. Law Scholarship” through the Pinellas Education Foundation. The deadline is January 17. Estate Planning and Board Certified Elder Law Attorney D. “Rep” DeLoach III graduated from Seminole High in 1992, and Real Estate and Civil Litigation Attorney Joseph “Joe” M. Murphy graduated from Largo High in 2003. In support of their local alma maters and aspiring attorneys, the firm is pleased to offer a $1,000 scholarship at each school. The firm understands earning a college education can be a significant financial burden for a student and his or her family as many of our attorneys worked their way through school. Must be a high school senior at either Seminole or Largo High School. Must have a demonstrated desire to pursue a career as an attorney. Application period opens on September 19 at midnight and closes on January 17 at 11:59 p.m.
Students must also complete a 500 word essay describing why the student would like to pursue a career in the field of law and this should be emailed to [email protected] by January 30, 2019 with the subject line Scholarship Essay. Note: By submitting an essay, you grant DeLoach, Hofstra & Cavonis, P.A. (DHC) a royalty‐free license to copy, distribute, modify and display your essay on DHC’s website, social media networks and in their marketing materials. By submitting an essay, you allow DHC to share your essay with news organizations and give permission for your submission to be broadcasted by news organizations. You also verify no other person or organization has a copyright interest in your essay. 2018 Scholarship Recipient ~ Congrats, Marley! Congratulations to Marley Dodd, the recipient of the “DeLoach, Hofstra & Cavonis, P.A. Law Scholarship” awarded through the Pinellas Education Foundation. Marley is a senior at Seminole High School and an aspiring attorney. She is currently in an Executive Internship Program at the State Attorney’s Office where she is growing her passion for the law. According to Marley, “I’ve always wanted to help people. And I feel that If I become a lawyer I would be helping people.” You can read Marley’s inspiring essay here. Marley is pictured with attorney Rep DeLoach at the Seminole High School Awards Ceremony. Rep graduated from Seminole High in 1992 and attorney Joe Murphy graduated from Largo High in 2003. In support of their local alma maters and aspiring attorneys, the firm has established a scholarship for each school.